Bring Back Oour Girls Group, parents mark fifth anniversary of Chibok Girls abduction, accuses Federal Government of abandoning schoolgirls – Royal Times of Nigeria. 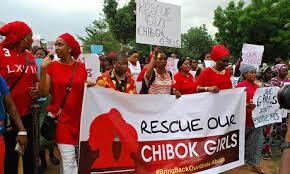 Members of the Bring Back Our Girls (BBOG) group on Sunday marked the fifth anniversary of the abduction of over one hundred girls by the Boko Haram terrorist group in the Chibok community, Borno State. The group is demanding release of the remaining girls still in the captivity of the terrorist group and asked the Federal Government to make schools in the northeast safe. In a sit-out in Lagos to honour the Chibok schoolgirls, the faces and names were posted at the Falomo roundabout in the Ikoyi area of the state as well as other parts of Nigeria. A representative of the group, Nifemi Onifade, in a speech co-signed by fellow members of the group, accused the Federal Government of abandoning the remaining one hundred and twelve Chibok schoolgirls to their fate while their parents continue to grieve. The activists noted that similar neglect had befallen the parents of Leah Sharibu, an abducted victim of insurgents. President Muhammadu Buhari had in a statement renewed his vow to ensure the release of the remaining Chibok girls and Leah Sharibu in Boko Haram’s enclave. He said his government had so far succeeded in securing the release of one hundred and seven of the girls, and will not rest until the remaining girls are reunited with their families. 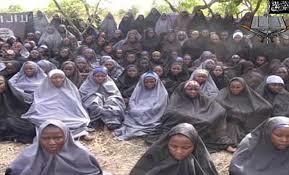 The over two hundred students were on the fourteenth April, 2014 abducted from the Government Girls Secondary School.